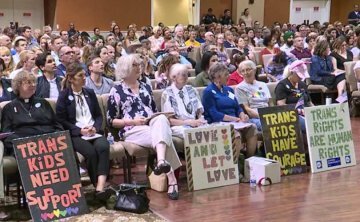 The California charter school board rocked by controversy over a five-year-old boy who transitioned to a “girl” in kindergarten has unanimously voted not to let children opt out of lessons on transgenderism. Då kan ingen ta emot Jesus som sin FRÄLSARE! TERROR att gömma sig bakom.